The Asian Law Institute (ASLI) and the University of Philippines, College of Law will host the 14th ASLI Conference in Quezon City, Philippines on May 18-19, 2017. The theme of the event is “Uniting Force? 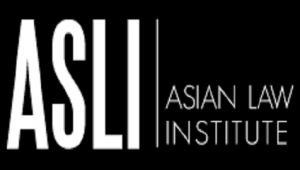 ‘Asian Values’ & the Laws.” Those wishing to submit a paper must do so by Dec. 1, 2016. Look here for additional information on submissions.